Studied Music and Psychology at Old Dominion University. Performance experience with Generation Gap, Friends Again, Borderline, Muddy Creek, The Nothin’ Doin’ Band and recorded 2 albums with various churches, Folk duos and groups. 35 years teaching experience. 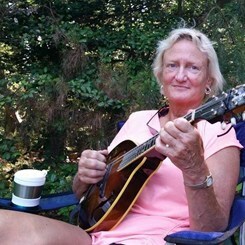 Specializes in acoustic, bluegrass, folk and pop styles. Request Lessons with Lynn today!